Red River College’s Stevenson Campus hosted an enthusiastic group of sixth graders on Friday eager to learn about the world of aviation. 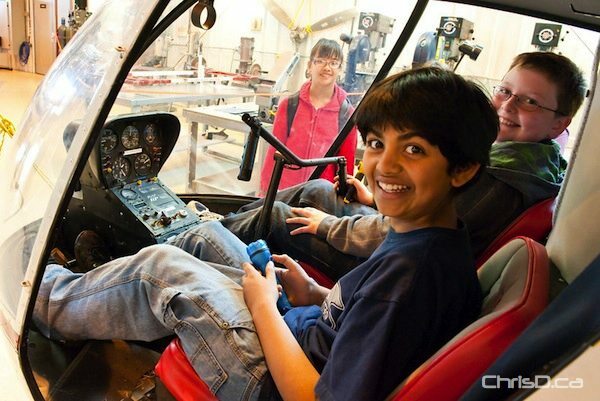 Aerospace & Aviation in Manitoba (AAIM) is made up of various aviation and aerospace educational organizations and work in a variety of ways to help educators and Manitobans become aware of the numerous career opportunities in the aviation industry. Now in its fourth year, about 650 Grade 6 students take part in AAIM Day, as flight is part of their science curriculum. The mini symposium allows students to get a hands-on experience with four major aspects of the aerospace and aviation sectors: repair/overhaul, manufacturing/composites, space and flight.